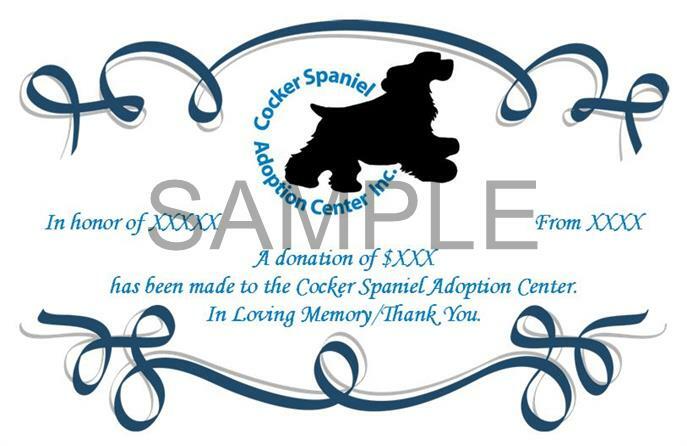 Honor a Cocker Spaniel lover in your life. Need to celebrate a special event, send a special thank you, or would like to memorialize a special person or pet? 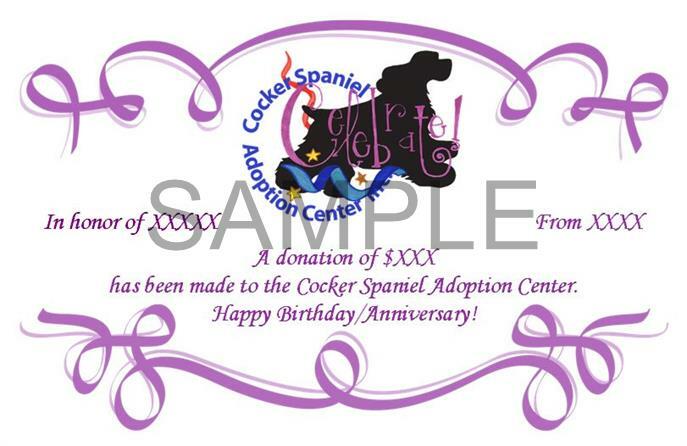 Order a Cocker Spaniel Adoption Center's Honor Certificate! The person you are honoring will receive a 5.5" x 8.5" color, certificate printed on parchment paper. Please review the choices below. Click - ORDER NOW - when you are ready! Once you have placed your order, come back and click DONATE NOW to complete your order. Celebrate! - Honor a special person or pet with a Celebrate! Certificate - Birthday, Anniversary, Gotcha Day, Retirement, or any special occasion. Memorial or Thank you! - Honor a special person or pet with a Memorial | Thank You Certificate - Send a special Thank You to someone for their help or kind thought. Show someone your thinking of them during a difficult time. Merry Christmas! 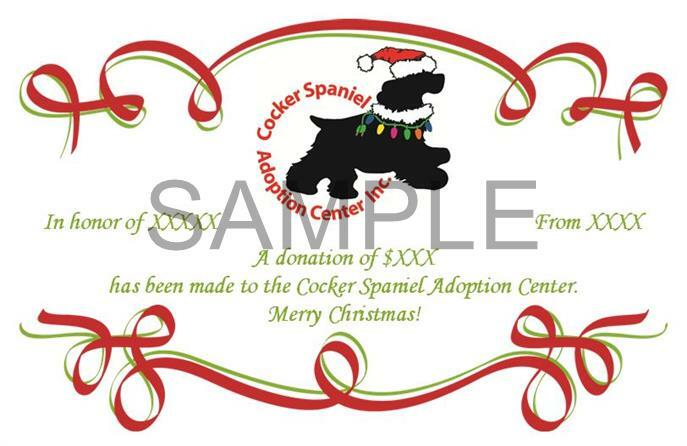 - Honor a special person or pet with a Merry Christmas Certificate. Please write "Donation Certificate" on the "For" line of your check. Use the Donate link below for both credit cards and PayPal. Please click the link on the second page that says "Reason for" and type Donation Certificate to help us process your donation. Thank you.